Beginning a project and working until its completed is quite rewarding. Whether you are improving a property for your career, updating your home, or even working on something artistic, creating something yourself makes you fell accomplished and satisfied. If you are in the middle of a project or just starting, making sure you have the right equipment and tools is important. Skip the impersonal big-box stores who overcharge and go with something local! 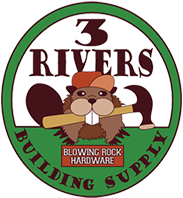 3 Rivers Building Supply in Blowing Rock, North Carolina, offers a wide selection of building materials, tools, and supplies to make whatever you are working on great. Stop by our store to find great deals on building provisions. For over 15 years, 3 Rivers Building Supply has provided excellent customer relations to better serve the wonderful people of our community. From lumber to windows and doors, we sell the name brands of construction supply you know and trust, affordably. 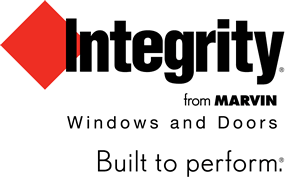 In fact, we are the only authorized dealer of Marvin™ windows in our county. Stop by our store, tell us about your project, and our knowledgeable and experienced employees will take care of you.